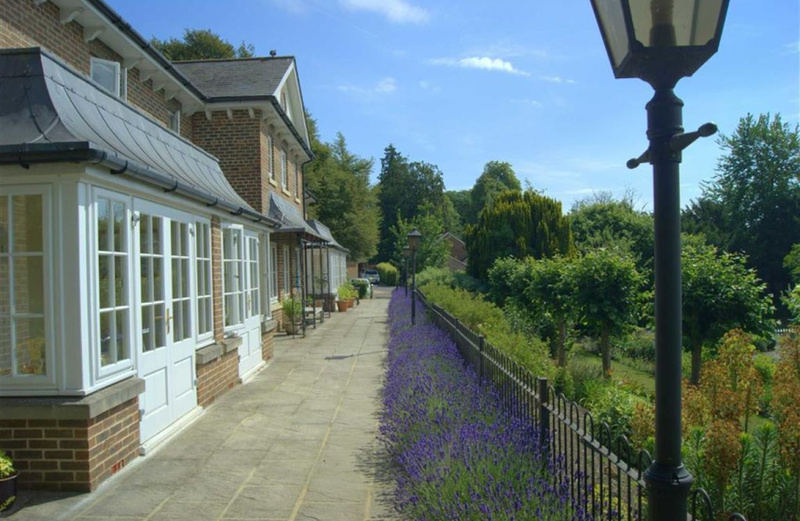 A most attractive Regency style mews house built in 2001 for the over 55's only, overlooking beautifully manicured formal gardens in this peaceful location, close to the heart of Marlborough. 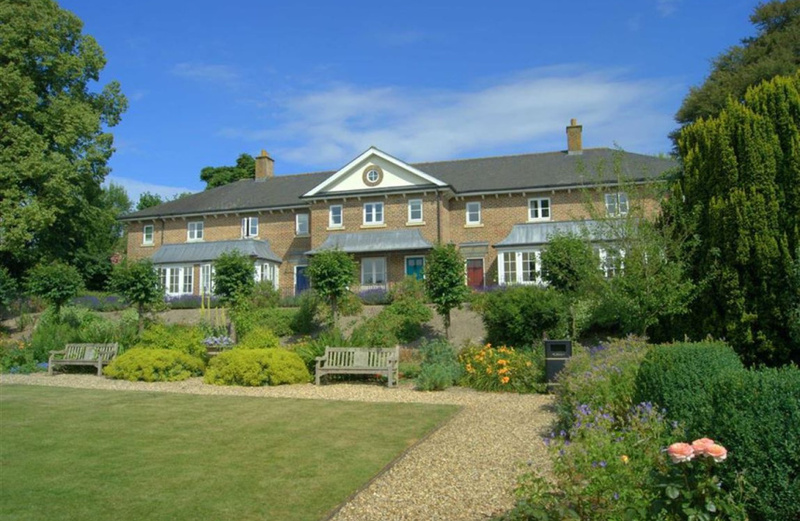 Wye House consists of 19 cottages and apartments set in magnificent mature grounds just 250 yards from the High Street. 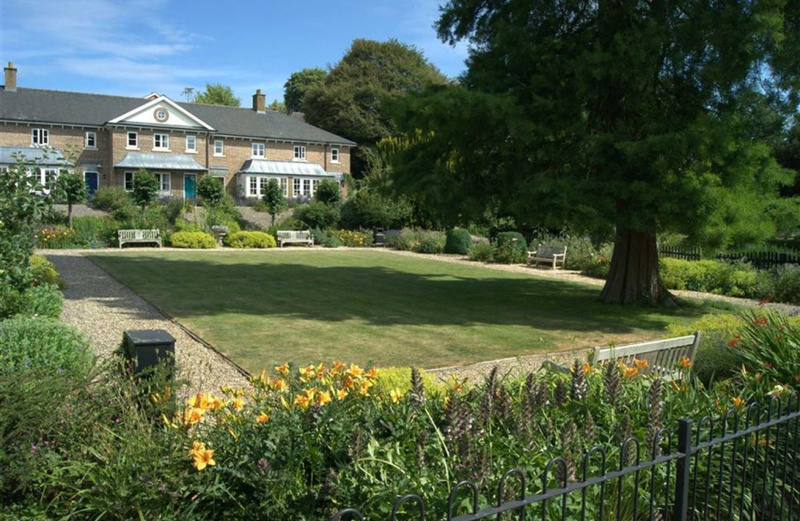 The original Georgian building has been converted into to six elegant and spacious apartments and those properties overlooking the formal gardens are built to a very high specification in the Regency style. Medieval cottages can be found in intriguing alleyways that lie between the colonnaded shops in the High Street and 17th century merchants houses are concealed behind much later 18th century facades. 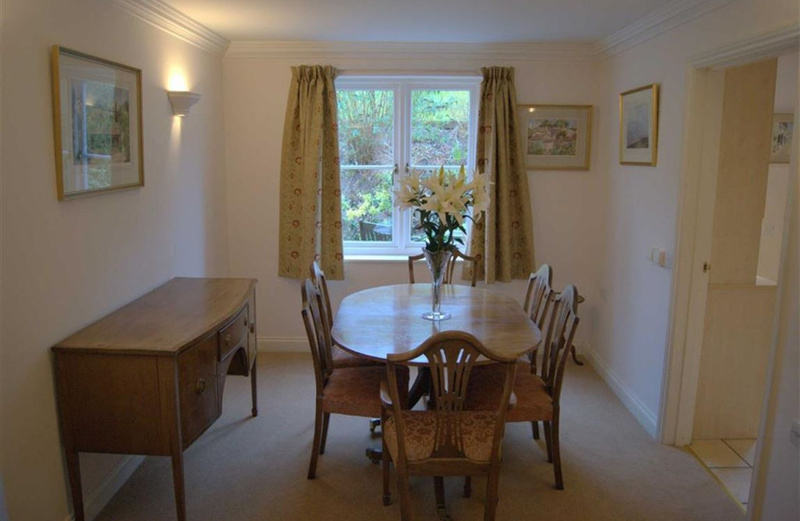 It is a place of enormous provincial charm and outstanding modern convenience. Services include an estate manager and emergency alarm service. There are beautiful gardens and grounds with a pleached and pollarded lime avenue and herbaceous borders. Good road communications with easy access to the M4 (Junction 15) and fast trains to London (Paddington) from Swindon about 12 miles away. Pewsey 8 miles or Great Bedwyn 7 miles. We walk into the entrance hall with staircase rising to the first floor, door left into the drawing room but first we will carry straight on into the downstairs cloakroom/utility room. 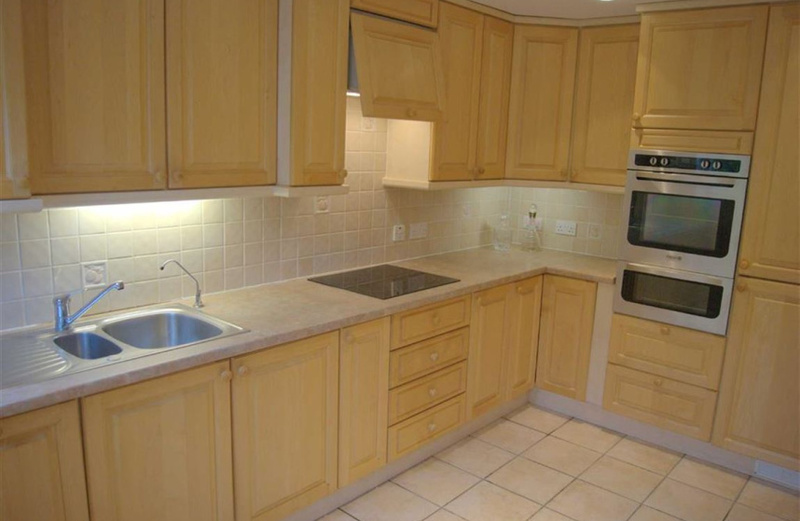 This has a modern suite, understairs storage cupboard and integrated Miele washing machine/tumble dryer. 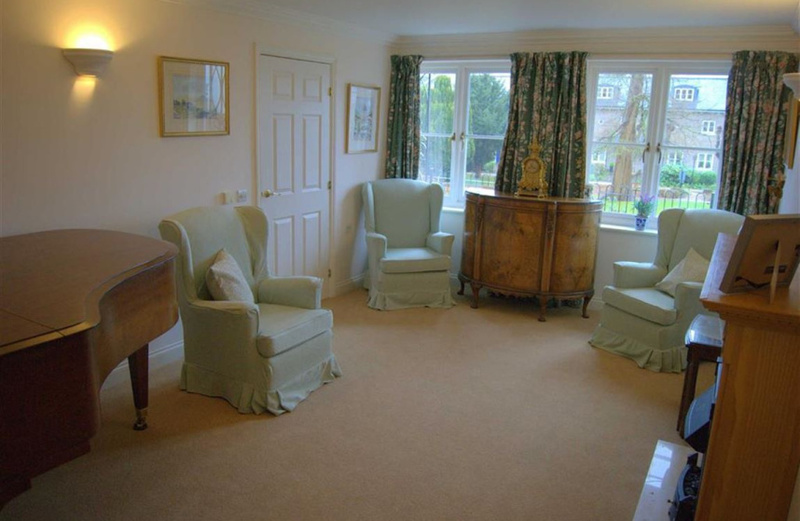 Back into the hall and right into a light and airy drawing room with two windows overlooking the beautiful gardens. Double doors open into the dining room with window to the rear and door right into the well appointed kitchen with integrated appliances and good range of modern fitted units. A window to rear and door opening onto a paved patio area which catches the evening sun. Back to the hall and up the wide staircase to the first floor landing. This has a large drop down access to a part boarded loft with light and an area ideal for a desk and computer terminal. 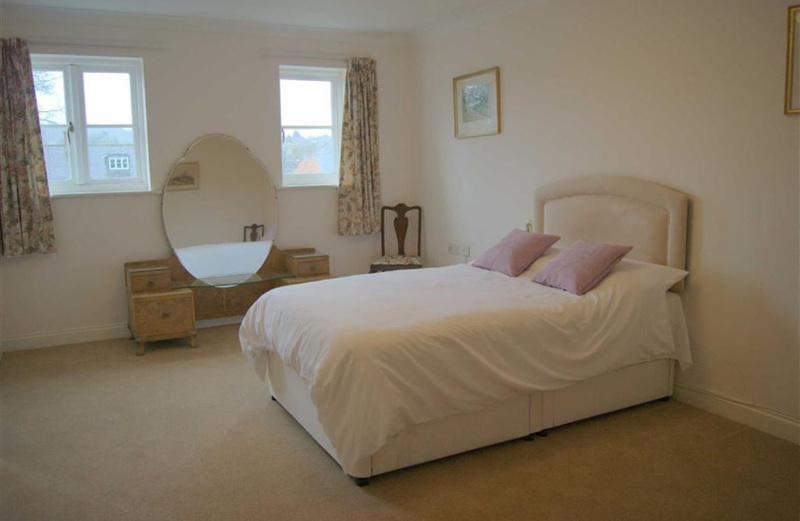 First on the left into the master bedroom, a handsome double with two windows to the front and built in wardrobes. Door left into the ensuite shower room with window to the front, walk in shower, toilet, wash basin and heated towel rail. 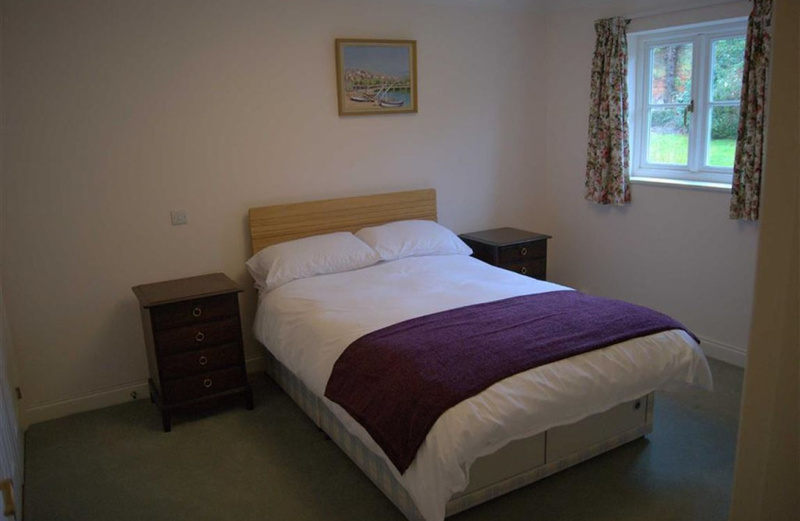 Next is the second bedroom, again a good sized double with window to the rear and built in wardrobes. 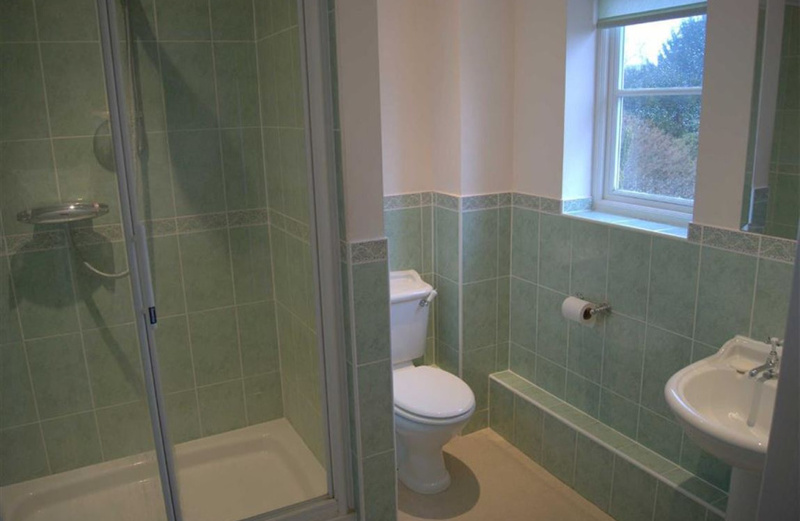 Finally into the bathroom with window to the rear, modern white suite comprising wash basin, toilet and walk in bath. 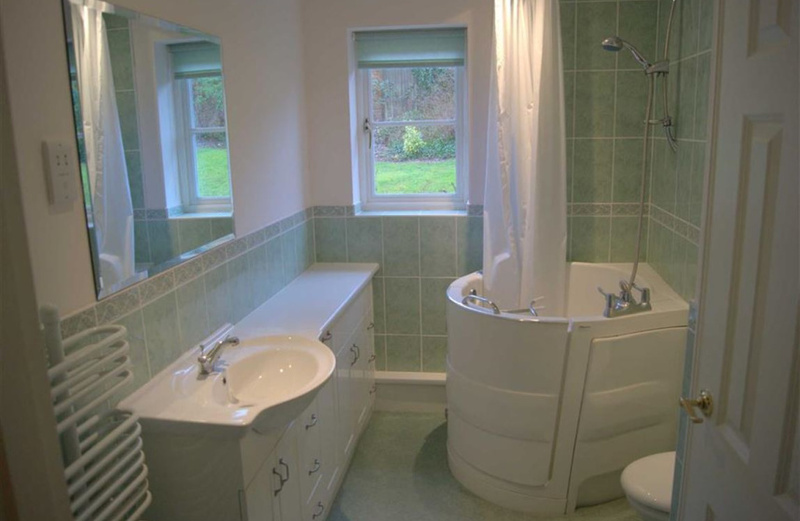 The vendors have indicated that if a prospective purchaser would prefer a walk in shower or conventional bath they would be happy to discuss options. A quote is available in the office. OK that is inside, lets go out and have a look at the gardens and parking. The buildings enclose an attractive, formal garden, laid to lawn and planted with trees, shrubs and perennials. Adjoining the private gardens is a formal public garden which enjoys numerous specimen trees, well stocked flower and shrub beds and a charming pond with resident coot and moor hen. The allocated car parking space and visitors parking are situated at the front of the Main House. Mains electricity, water and drainage. Electric underfloor heating. Telephone lines subject to the usual transfer regulations. (No tests to the suitability of services have been carried out and intending purchasers should commission their own tests if required). The property is Leasehold, 999 years from 1984. No ground rent and a 55+ age covenant. Annual service charge for 2017 was £4516. 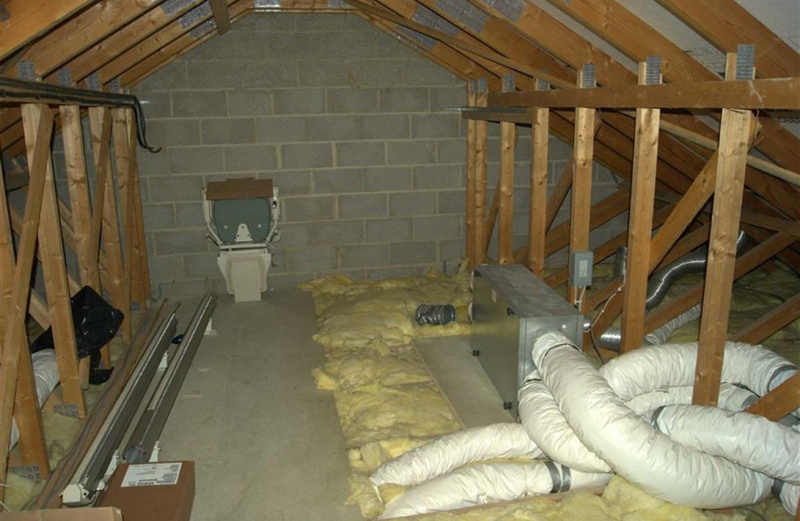 A stair lift was installed by the previous owner. This has been disassembled and is included in the sale. It is now placed in the loft, available for future use. 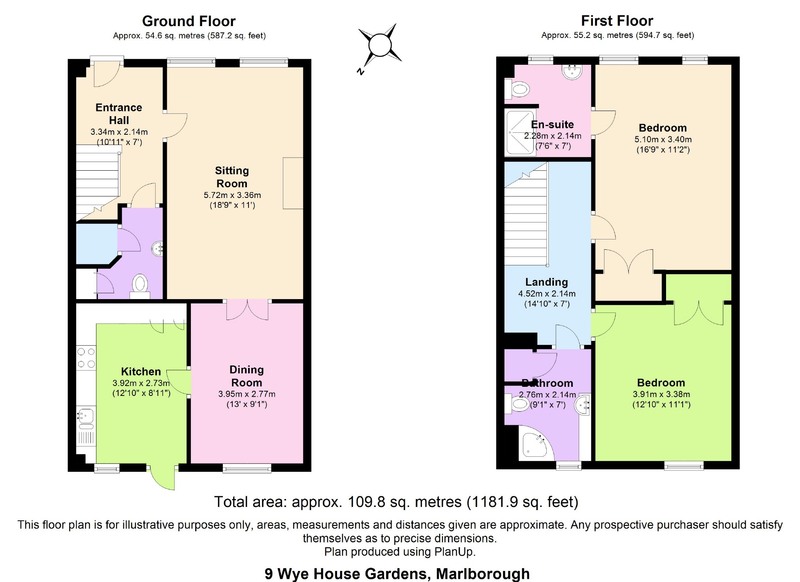 The property is Band F 2017/2018 £2539.57 Wiltshire Council. Trowbridge, Wiltshire. BA14 8JN. 0300 456 0100.
the services is shared equally between all properties. 1) The letting period must be for at least six months and subject to a formal Assured Shorthold Tenancy Agreement (AST). 2) The tenant(s) must comply with our qualifying requirements detailed in the owners' Lease. 3) Before the AST is granted, Cognatum Estates Ltd must establish the suitability of the tenants, as per general criteria and ensure that they are aware of the requirements of living on one of its estates. If the proposed tenants are approved, the company will require a copy of the AST to hold on file. 4) Should the proposed tenants not be approved, this will be made known to the letting party. The property is held by the Landlord under a Lease dated and made between (1) and (2) (the Lease). In addition to the requirements of this agreement, the tenant must observe the requirements of the Lease for the good running and management of the estate. 6) The owner must remain responsible for the service charge on the property and where necessary must bring the account up to date. The owner will also be responsible for any other appropriate costs raised by Cognatum Estates Ltd.
7) The owner must maintain a current correspondence address on our records, plus a phone number. 8) The tenant is eligible for all the usual facilities provided on the estate, e.g. Alarm system, laundry, guest flat, etc. 9) Consultation letters on expenditure should be sent to the owner, not the tenant. However, the tenant should be advised of all matters which affect living on the estate, e.g. External painting works. 10) The tenant may attend the Annual Residents' Meeting (ARM).